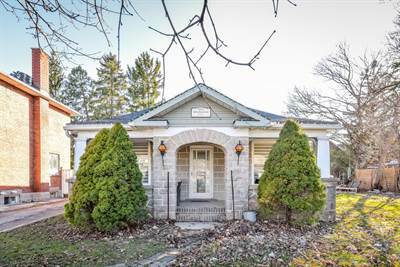 in Guelph, Guelph The single story at 469 Stevenson St N has been sold. Posted on April 18, 2019 Categories UncategorizedLeave a comment on 469 Stevenson St N in Guelph, Guelph is Sold! 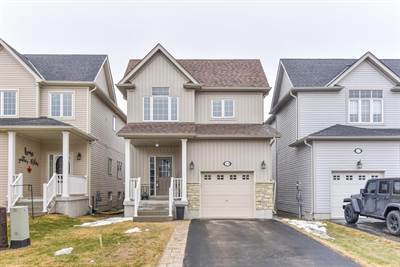 in Fergus, Fergus The 2 storey at 19 Goodall Court has been sold. 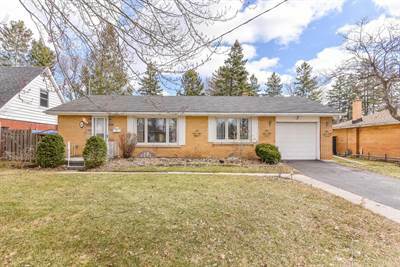 Posted on April 18, 2019 Categories UncategorizedLeave a comment on 19 Goodall Court in Fergus, Fergus is Sold! • 1101 sqft , 1 bath , 3 bdrm single story – FOR SALE CAD399,900 . 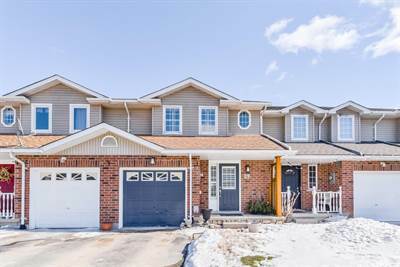 Posted on April 15, 2019 Categories UncategorizedLeave a comment on 15 Joann Crescent in Elora, Elora is Sold! • 2132 sqft , 2 bath , 1 half bath , 3 bdrm 2 storey – FOR SALE CAD875,000 . 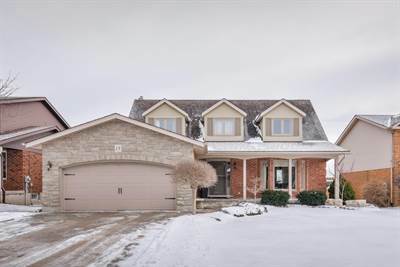 Gorgeous 2 storey home located in desired Fergus location. Join us at the double door front entry and be prepared to fall in love. Sweeping staircase leads to 3 lovely bedrooms. All bedrooms feature hardwood flooring, updated main bath with granite and glass shower. Master to include walk in closet and ensuite with soaker tub, gleaming ceramic and plenty of storage. Main floor is feeling fresh and friendly. Designer kitchen with stainless appliances, granite counters, breakfast bar and open concept keep the chef in the family in the loop when entertaining or keeping track of the little ones! Living room with gas fireplace and walk out to back deck where the living space continues. Gazebo and BBQ area is large enough to host great dinners alfresco without getting wet! Back inside you will find a 2 pc bath on the main level as well as laundry, a main floor den or home office and access to the attached and oversized 2 car garage. Basement is the perfect chill area for the teens or a great lounge and movie area for the entire family. Put out snacks for the game on the bar area and store drinks in the fridge! Bedroom/gym or lower level office, it’s your choice! Plenty of storage in the unfinished space. If you are dreaming of privacy, space and the convenience of in town living, make 770 St George St E your family’s next move! Call us, we can make it happen! 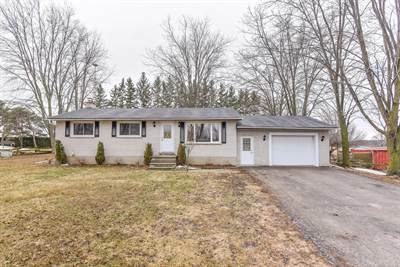 29 Patrick Boulevard in Elora, Elora is Sold! in Elora, Elora The 2 storey at 29 Patrick Boulevard has been sold. 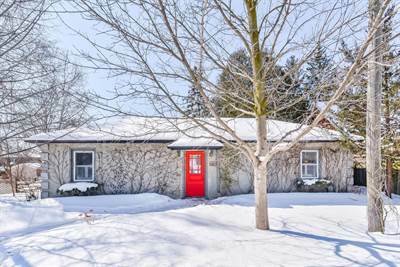 Posted on April 8, 2019 Categories UncategorizedLeave a comment on 29 Patrick Boulevard in Elora, Elora is Sold! • 1058 sqft , 1 bath , 3 bdrm single story – FOR SALE CAD649,900 . Looking to get out of the hustle and bustle of the city? This fully renovated all brick bungalow on a half acre lot is the one you’ve been waiting for. Located in Ponsonby, your commute is made easy to KW, Guelph, or the 401. There is plenty of parking in the long paved driveway that leads you up to this immaculate home with an oversized attached garage. This country home is MOVE IN READY recently redone top to bottom with excellent taste. As you walk through the home take note of the new flooring in this carpet free home. The large windows, large opening to the dining room, and patio doors leading to the back deck, let in tons of light and give the main floor excellent flow. Just imagine relaxing on this large deck watching the deer in the field right out back. The kitchen has been updated with brand new cabinets, quartz countertop, s/s appliances, and a convenient pot filler above the stove. If you’re looking for main floor living this home has it with 3 bedrooms and a fully renovated 4-piece bath. The possibilities for the basement abound with this awesome layout. Put some elbow grease in and you could have a separate living space down there in no time. Or take advantage of all the space for yourself with two huge, open, and fully finished spaces with a propane fireplace to warm up at. This home provides economical living too with its propane water heater, forced air heating, and LED lighting. This home is ready for you to move on in and enjoy the beautiful spring weather. • 1708 sqft , 2 bath , 1 half bath , 3 bdrm 2 storey – FOR SALE CAD529,900 . Stunning 2 storey home located in a desirable North Fergus neigbourhood has many upgrades & features that is sure to impress. 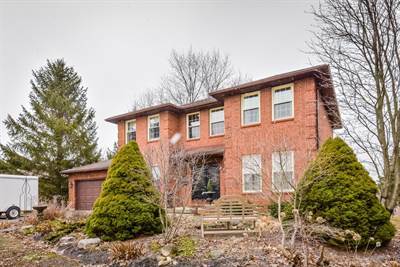 Walking distance to schools, shopping, parks & the Cataract Trail, commuters will also like the short drive to Guelph, KW, Orangeville, Georgetown & the 401. Impressive curb appeal with stone front and interlock path. Enter the main floor to a spacious foyer & convenient 2 piece bath open to great room with gleaming hardwood floors & lots of natural light. Adjoining kitchen features stainless appliances, plenty of cupboard & counterspace. Bright, spacious dining room boasts ceramic floors & walkout to private, wood deck & fenced rear yard. The upper level of this great family home provides 3 generous bedrooms, perfect for families or professionals looking for a guest room & office. The spacious master bedroom has bright windows, walk in closet & luxury ensuite bath that rivals most 5 Star hotels! Venture down to the lower level past the walk-in to the single attached garage & find a space that will capture your imagination for future bathroom, recroom & more. Capturing the starter home market, those looking for a step up or step down or simply looking for a change into a newer home with little demands over the next several years, this offering is worth that closer look. Call now for a personal viewing.